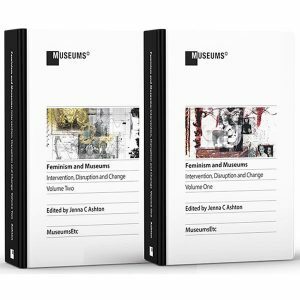 Our very own Ashley Remer and Tiffany Rhoades cowrote a chapter about Girl Museum that was published in a 2 volume collection titled Feminism and Museums. Their chapter, “Using Digital to Showcase Feminism in Cultural Heritage”, focused on the unique challenges and opportunities facing Girl Museum in the digital age. Associate Editor Sage Daugherty spoke with both staff members about their process of writing the chapter and their digital goals for Girl Museum going into 2018. Tell us about writing the chapter ‚Äî how did that process begin? Ashley: We got a great boost from our dear and trusted advisor, Miriam Forman-Brunell. She gave the proposal a good going over. Tiffany: Ashley approached me with the Call for Proposals, and I instantly agreed. We submitted, and once accepted, we had just under 2 months to write the entire thing. I took charge of writing an outline of what we wanted to say, and then Ashley took on the first draft. From there, it‚Äôs been like most of our work – a back and forth collaboration into something we both felt really expressed who we are, what we do, and why our work is so critical to reshaping museums into places where girls and women feel they truly have a voice. How has Girl Museum‚Äôs digital outreach changed from year to year? Ashley: We have grown up with the Internet and social media, really. We are just trying to keep up with the changes. Tiffany: I think the focus has really been about growth and figuring out what channels work best for us. So many museums jump on each new craze – Snapchat, Instagram, etc. – without looking at whether those kinds of platforms really help them fulfill their mission and reach people that matter. At one point, we were spread very thin between all sorts of platforms, and over the past few years we‚Äôve focused on figuring out which platforms work best for us. A secondary change – but probably a more important one – is letting go of having total control. We‚Äôve started to give the Junior Girls (interns) more control and authority. At the beginning of 2017, most of our channels were managed by Ashley and I. As of January 2018, all of our channels now have a dedicated staff member or Junior Girl who is in charge of crafting content, proposing new ideas, and experimenting with new strategies for engagement. The result has been incredible – each of our channels now has its own voice and focus, which allows our followers to become far more engaged and for us to foster an atmosphere of experimentation and learning. While we still focus on growth, we now have a dedication to allowing our interns the creative freedom to experiment, have fun, and most of all, make something they are proud of. And it is incredible what can happen when you allow that environment to flourish. What has been the most valuable lesson you‚Äôve learned during your time at the museum. Tiffany: Never be afraid to try something completely new. Tackle an exhibit about a topic you‚Äôve never even read about. Use your work to dispel your own stereotypes and mistaken perceptions. Experimentation, creativity, and truth-seeking are the keys to what make museums great – what makes Girl Museum great – and it‚Äôs those things that I hope we impart to all of our Junior Girls and followers. Only by being willing to push every boundary, question every assumption, will we find the truth – not just about girls in history and culture, but about ourselves and our place in the world. Tell us about ‚Äúshowcasing feminism in cultural heritage.‚Äù What are some of the challenges and rewards of that? Ashley: We are breaking down barriers that many don‚Äôt even admit we have. Working in heritage and the arts is a struggle when people are becoming simultaneously less interested in the past and wanting a better future. You cannot have a better future without understanding the successes and mistakes of the past. For girls, it is even a struggle within feminism with many believing that the word itself is derogatory. Let alone getting people to believe girls not only affected, but created, history. Tiffany: I think the challenge is that we, as a culture, are primed to view history and culture through a male-centric view. Girls are in nearly every museum gallery in the world – in both art and archaeology – yet history and art history are almost always told from a male point of view. So the biggest challenge is, of course, turning that viewpoint on its head. It requires us to ask, ‚ÄúWhat was she thinking? Feeling? Seeing? Why would she be presented that way? What narrative does it serve? Is that a true reflection of her place in her world?‚Äù Questions like that. It leads to a whole host of questions – many of which we can only speculate on. But that in itself is the greatest reward. By forcing ourselves to readjust our gaze, to focus on the narrative not traditionally told, we bring forth the very point of historical and cultural inquiry: to find the truth. And in finding that truth, or even just a fraction of it, we reveal things about ourselves. That, to me, is what history and culture have always been about: they are mirrors into our souls. And how can we possibly know ourselves if we‚Äôre only focusing on the half the story we‚Äôve been told? Going into 2018, what are some of Girl Museum‚Äôs main goals? Ashley: We need money. We are getting more serious and creative about fundraising and becoming a stronger organization. 2019 is our 10th birthday year and I want to make sure we have all our adult teeth by then. Tiffany: Fostering a community dedicated to bringing girls‚Äô voices to the forefront of museums and cultural discussions. As we approach our 10 year anniversary (in 2019), I think our focus will be on looking at how we do that now and how we want to do that in the future. We aren‚Äôt just about producing digital exhibits or writing great blogs; we want to change how museums around the world represent girls in their collections. And I think 2018 is going to be the year where we start being more vocal in our advocacy of that, and look for ways that we can start providing our communities with guidelines on how to do that. There‚Äôs some super awesome projects that are going to be much more outreach-focused, including a few that we haven‚Äôt announced yet, which we hope will really start bringing this growing community together to help create awesome things to inspire girls. We are also really looking at how we can foster growth from within – what talents do our team have? How can we let their passions and skills shine? For example, this next year we will have new curators taking over projects, and one of our new staff members will be launching her first exhibit based on a lifelong passion for mythology. So we‚Äôre looking for more ways to keep that momentum going. Ashley: It was fun to consider that great things we have done alongside some really amazing other women, museums and their projects. The editor, Dr. Jenna Ashton, was wonderful. A pleasure to work with and I hope we can work together again in the future. She managed two massive tomes and we are very honored to be a part of this anthology. Tiffany: This book was a really unique opportunity, in that I think it was one of the first times we had to get really introspective about our work. It‚Äôs also a great opportunity to see what other institutions are doing to foster feminism and become more vocal in their advocacy and representation efforts. I‚Äôm looking forward to reading all the entries and incredible grateful for the opportunity to publish in these volumes. 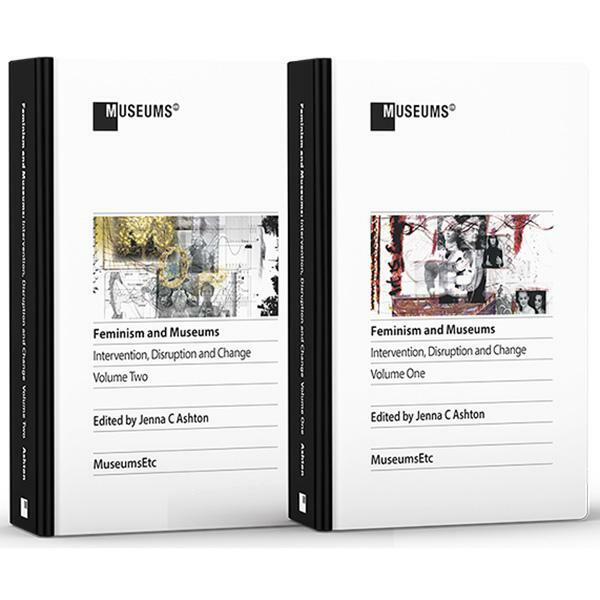 I hope it‚Äôll become a great resource, especially for the next generation of museum professionals who are really going to be at the forefront of defining what a museum is during the twenty-first century.